When you're a confirmed stationery-holic like us, you'd know not to count the hours you spend on browsing stationery online. It was on one such mad foray that we stumbled upon Doodle By Numbers, and now we can't get enough of their stationery. You can apply all the nice and pretty adjectives that you can think up to this brand's range of stationery - cute, quirky, kitschy, zany, kooky and all. Wiro-bound to hardbound notebooks, we can't seem to get enough of Dooodle by Number's interesting items. The brand's name Doodle by Numbers will certainly remind you of the Colour By Number books and games (just the thing we use to zen ourselves from restless hyper energies), and it was no strange reveal when artist Shrutakirti mentioned the books to have inspired her. A research scholar who had taken to watercolour as late as last year (that's why they say, it's never too late to start), Shrutakirti's simple, whimsical and fun motifs started drawing attention when she put up on her social media. Soon, after she started making notebooks and notepads with her painting, and we (along with many others) are totally crushing on them. Cute little ladybugs among autumn leaves to zany watermelons slices and jasmine flowers in an aquamarine backdrop - these have a very Japanese minimalistic look about them. 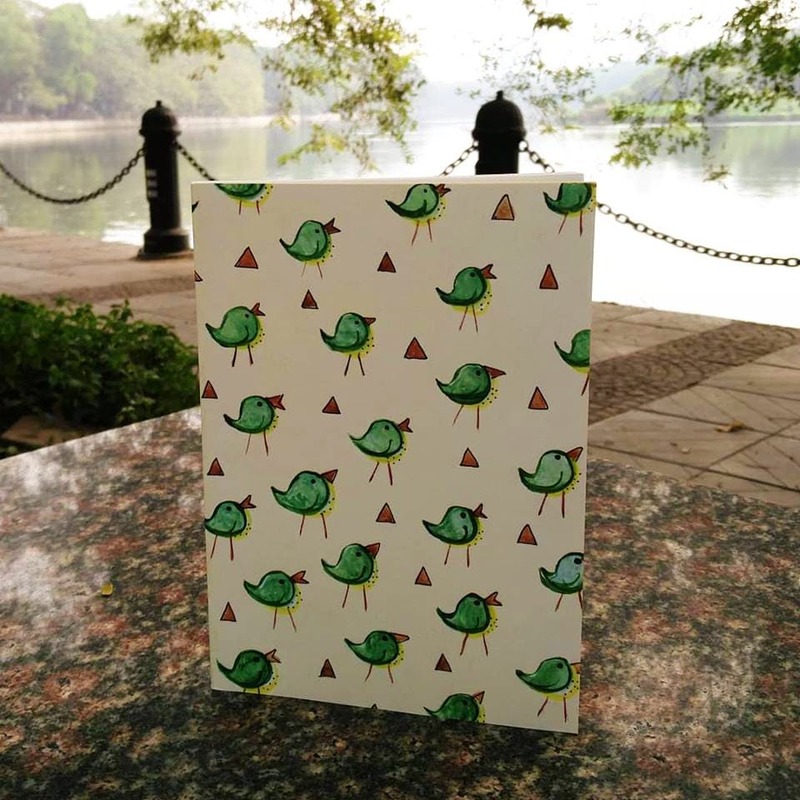 Made entirely of paper, the notebooks come with end papers in A5 size, and the notepads come with ruled and unruled pages. Doodlers or painters, you can now totally skip the drab bulky sketchpads and use these instead for your artworks. Made with sturdy 80 gsm papers, these don't blot with watercolours or don't transfer ink on the other pages. Best part, they are all within budget and starts for as low as INR 50! You can pick your choice from her insta page, but for more designs, you'll have to wait for her next batch that comes after summer this year. You can collect your stationery from her within a week of placing order, in case you are within the city limits. For outside Kolkata, she takes a nominal shipping charge.